Do you ever feel like your brain isn’t exactly running on all cylinders? We all forget and misplace things, and we all have those days where no amount of coffee will bring us out of a fog. Most of us would jump at the chance to improve our brain function, especially as we face the mental decline that comes with age. As always, it’s best to talk to a neurologist if you have real concerns about your cognitive health, but you’ll be happy to know that you can have a healthier, stronger brain just by eating right! The following foods are nutritious and full of the antioxidants, vitamins, and “good fats” that benefit your brain. Blueberries are a delicious fruity snack packed with tons of brain benefits. Incorporating them into your diet can improve your memory and learning ability, and reduce your risk for Alzheimer’s and dementia. Blueberries are also known to relieve stress, which is a very important effort in cognitive care. Try to consumer at least one cup of blueberries, fresh or frozen, every day. Wild salmon is one of the best sources of omega-3 fatty acids alertness, and help reduce, which contribute to your brain health in many, many ways. By reducing inflammation and providing much-needed building blocks, omega-3s will improve your cognition, memory, mood and alertness, and help reduce depression and anxiety. Doctors recommend having a serving of wild salmon two to three times a week. High blood pressure has been linked to cognitive decline, and so by helping to lower your blood pressure, avocado can certainly have brain benefits. This fruit is full of “good fat” that leads to healthy blood flow. You may be skeptical of fat in any form, but avoiding the good kind can actually lead to mood swings, confusion, and insomnia. By consuming a little bit of “good fat” you can experience clearer thinking, a better memory, and an improved mood. Stick with just 1/2 or 1/4 an avocado a day. Pomegranates are chock full of antioxidants, which defend your brain against damaging free radicals. While pomegranate juice may be tastier and more convenient to consume than the actual fruit, it’s best to opt for the real thing so you can avoid added sugars and take advantage of the fiber they provide. There is a slight probability that some of the readers might be allergic to nuts and seeds. Well, we have got a solution for this too. 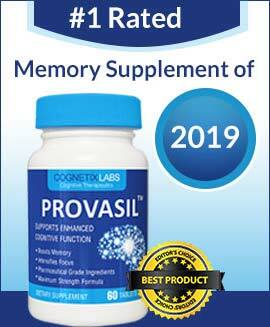 You can go for a brain enhancement supplement to improve your brain health. Take a quick scan of Neuro1 Review, a nootropic specially designed to increase brain power thus increase mental performance. When brewed fresh, many tea varieties contain powerful antioxidants, such as catechins. EGCG, one of the most common catechins in tea, is said to be up to 100 times more potent than vitamins E and C. Caffeinated tea can also enhance your focus, memory, and mood. However, you must drink your tea freshly brewed rather than bottled or you won’t get all that brain help. In addition to that morning wake-me-up so many of us depend on, coffee may also offer distinct cognitive benefits. Studies suggest that coffee way awaken dormant parts of your brain, strengthening the synapses linked to learning and spatial memory. Coffee also provides some fiber, which contributes to a healthy heart and a subsequently healthy brain. The hard part is stopping at two or three cups. Dark chocolate contains several natural stimulants that can enhance your focus and stimulate the production of endorphins and serotonin, which make you happy. Dark chocolate is also rich in fiber and antioxidants. Raw cacao nibs are among the most potent brain foods. They are rich in magnesium, which can help balance your brain chemistry. Raw cacao also contains phenylethylamine and anandamide which can prolong your good mood. Oysters are great source of selenium, magnesium, protein and many other nutrients which all promote brain health. Lots of people find these mollusks quite tasty, while many others are not fans of their unique texture. If you’re an oyster lovers, relish in your brain benefits. Tuna is another great source of Omega-3?s, but it’s also packed with vitamin B6. Research shows that B6 is directly associated with cognition, memory, and long-term brain health. While all the B vitamins, in general, will help balance your mood, B6 in particular will affect your dopamine receptors, making you feel happier. Nutritious green veggies like arugula, chard, kale and spinach are all rich in iron and manganese. Many Americans suffer from an iron deficiency, which has been linked to fatigue, bad moods, confusion, and other cognition issues. You may also combine these foods with brain supplement for a better outcome. Check out the Xymogen Brain Sustain Review, which is one of the memory supplement.